Integrating Bonusly with Zenefits allows you to manage Bonusly user accounts for your entire team automatically. 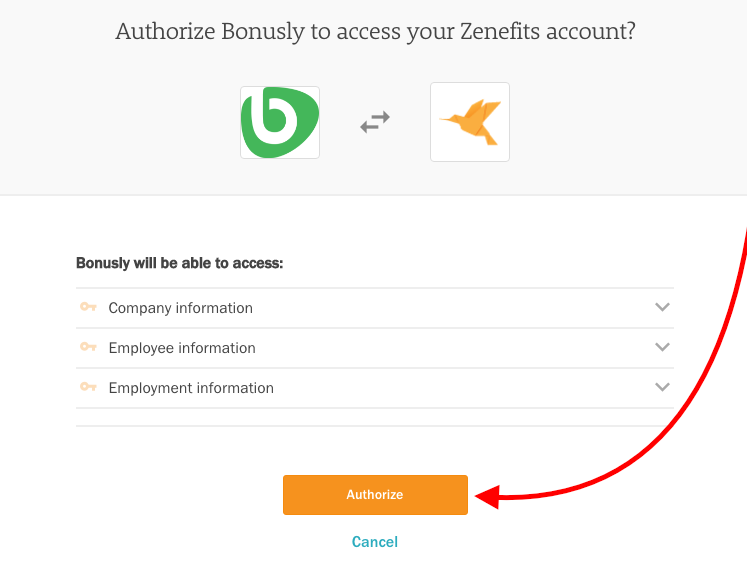 In only a couple clicks, you’ll be able to set your permission details, then sync your Zenefits employee roster to Bonusly. Need to deactivate users? Just select the users you would like to deactivate and click the 'Deactivate Selected' button instead. Pro-Tip: Use the filtering feature in the top right corner of the page to sort users by location or department. Still need help with the Zenefits Integration? Shoot us a message at support@bonus.ly and we'll get you squared away!